There are several sources of divergence between social and private incentives to spend during litigation expenditures have a negative social value. Third, even if expenditures do improve the accuracy of outcomes, they may not be socially optimal in magnitude. By analogy to what we stressed in section 5.1.2, the parties decide on their expenditures based on how they influence the litigation outcome, without regard to the influence if any on incentives. 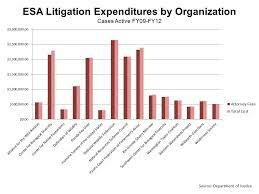 An important instance of the possibility that litigation expenditures could be socially excessive concerns the assessment of damages. Suppose that the presently estimated harm deviates from the truth by $100. Then one of the litigants will be willing to spend up to $100 to prove the correct amount. It can be shown that the social value of the more accurate estimate tends, however, generally to be lower than $100, because the social value of accuracy is based on its effects on incentives.